This is at present perhaps the most embarrassing page on this entire site. Not because of what it contains, but for what it doesn't contain. Namely, many important details concerning the history of the CRCMH - which goes to show how little is known about the facts and figures of the hospital's existence. Nevertheless, this page has already improved drastically since this website began, and what we can guarantee is that the available information presented here is as good as (if not better than) the casual researcher is going to get without spending countless hours sifting through dusty papers in elusive archive vaults. Sources used have been credited at the bottom of the page, and if you can add anything yourself (for instance, specific dates and events) it is here more than anywhere else on this site that your input would be appreciated. With your help, this section can be far more comprehensive. During the First World War, at least 2,000 soldiers, sailors and airmen from the Maidenhead area were killed. Townsfolk who had emigrated to Canada, Australia and New Zealand returned to Europe to fight and die. As well as those who were killed, the wounded were beyond number and the Maidenhead area, like many others, was quickly filled with hospitals. The most powerful and influential of local families, the Astors, insisted upon doing their bit. Casualties of the Great War came to their Cliveden estate in 1914 when the Canadian Red Cross were invited to construct a military hospital over the existing tennis courts and the bowling alley next to Taplow Lodge. 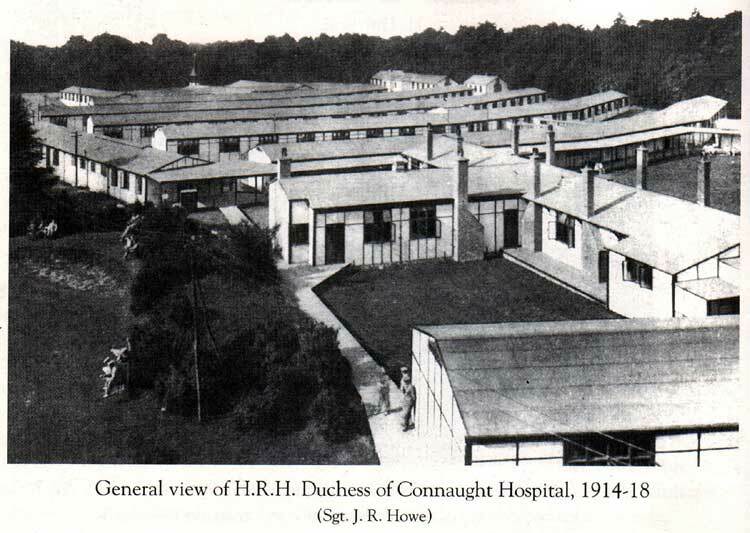 It was named The Duchess of Connaught Red Cross Hospital, and during this time, over 24,000 soldiers were treated at the hospital. But who exactly was the Duchess of Connaught I hear you ask? "The Duchess of Connaught was born Alexandria Victoria Alberta Edwina Duff, Duchess of Fife, daughter of Alexander William George Duff, Duke of Fife and Louise Victoria Alexandra Dagmar of Great Britain. She married Prince Arthur (1883-1938) Duke of Connaught in 1913. She is shown above in two photos. The one on the right seems a bit odd for a Patron of a British war hospital during the Great War, but it should be remembered that when the photograph was taken, in 1890, Britain and Germany were closely allied and Queen Victoria, German herself, employed German regiments as her guard. The uniform is that of the Eighth Brandenburg Regiment." Jimbo says: You are mixing up two different women. The Duchess of Connaught was wife of the Duke of Connaught (Governor General of Canada during WWI). The Duchess was born in 1860 and was a German princess - her given name being Louise Margarete. She died in 1917 after her and her husband returned to Britain after his tour as Governor General. The women referred to as the Duchess of Fife was the daughter-in-law of the above couple. Princess Alexandra Duchess of Fife (born 1891) was married to Prince Arthur of Connaught (born 1883) who was the son of the Duke of Connaught and Louise Margarete. Both father and son had the first name of Arthur and both were princes. The father was Duke of Connaught (born 1850) and the third son of Queen Victoria. The son (born 1883) was referred to as Prince Arthur of Connaught, since his father was Prince Arthur, Duke of Connaught. The son died in 1938, the father died in 1942, so the son never inherited his father's dukedom, since the son predeceased his father. James Yerich says: The photo of the Duchess of Connaught is not the photo of the Duchess of Connaught you refer to. The lady in the photograph is Prince Arthur's (Queen Victoria's son, the Duke of Connaught) wife who was born a princess of Prussia. She would be the mother in-law of the Duchess of Connaught (the daughter of the Duke and Duchess of Fife) that the text refers to. K.A.K says: The info you have listed for Duchess of Connaught is about her daughter-in-law Princess Alexandra of Fife. The Duchess pictured was married to Queen Victoria's son Prince Arthur. She was a Prussian princess by birth, hence the uniform in the one picture. She and the Duke were married in 1879, and had three children. Their only son, Prince Arthur married Princess Alexandra in 1913, but she was never Duchess of Connaught as Prince Arthur died in 1938, 4 years before his father. 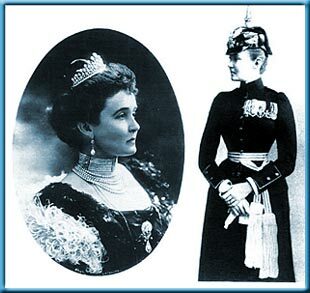 The above photos depict Louise Margaret (25 July 1860 – 14 July 1917), Duchess of Connaught, the daughter of Prince Friedrich Karl of Prussia and wife of Prince Arthur, Duke of Connaught and Strathearn (1 May 1850 – 16 January 1942). 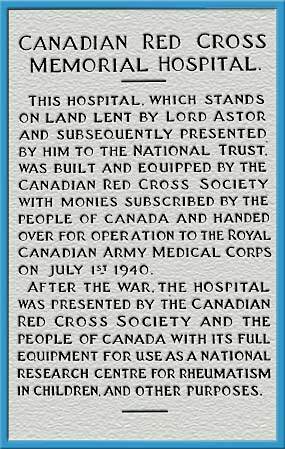 Arthur derved as Governor General of Canada between 1911 and 1916, hence why the hospital was named in honour of his wife, Louise Margaret. We are also indebted to Marchi Eduardo who also points out that, contrary to the above photos, Michael Zwerdling is actually speaking about Louise Margaret's daughter-in-law, Alexandra Victoria Alberta Edwina Louise (17 May 1891 – 26 February 1959), Princess Arthur of Connaught and Duchess of Fife ... who, of course, the hospital was not named after - though she did indeed serve as a nurse at St. Mary's Hospital in Paddington. On November 3rd 1916, The Times hailed the Duchess of Connaught as "one of the two best hospitals in England" and amongst its many visitors at this time were King George V and Queen Mary. Those soldiers who died at this makeshift yet "nice and clean" hospital were buried nearby in Cliveden's War Memorial Garden, created in 1918. After the war, the hospital continued operation and from September 1919, it became known as Number 15 Canadian General Hospital. The Astors' son, Michael, said that during the 1930's Cliveden was like a club attached to the hospital with cricket matches, estate dances and parties. The atmosphere throughout the entire estate was apparently "like living in a hotel". The present whereabouts of the above tablet is completely unknown. Still, it is reproduced accurately here from official documentation (even down to the typeface). It was removed in the mid-1990s (presumably by workmen at the site) and with any luck it has been put in storage with a view to being displayed somewhere thoughtful as opposed to being completely discarded. Pointless Factoid #1: During WWII, the official organist of the CRCMH chapel was a Mr J. F. Agg, who was retained in England solely on account of his services in that capacity - being much appreciated by both staff and patients. Perhaps the subsequent ability of Pwürg's resident pianist Lucas Bones was somehow inherited by the sheer amount of time he spent lingering in the rooms that Mr Agg had long graced with his presence? After the wars, the CRCMH was presided over by the National Health Service, which provided a valuable income to the National Trust. The hospital became a national research hospital for children suffering from arthritis and a school was established for long term patients. This evolved into the world's leading rheumatology department, using the resources of the entire hospital. As an indication of CRCMH staff earnings, in 1948, a sixteen-year old Cadet nurse working six days a week took home a monthly pay-packet containing £3 19 6. Great names on the staff list around this period included the famous rheumatologist Prof. Eric Bywaters; the world renown Paul Wood visiting from London Heart Hospital (remembered as a brilliant diagnostician); and Arthur Holman - allegedly instrumental in developing the heart/lung machine. The highly respected and successful Dr. Barbara Ansell CBE also joined the CRCMH under Prof. Bywaters around this period. Domestic staff of this period were mostly Estonian and Latvian refugees. Many were successful professional and business people who had lost almost everything during the war. They were housed separately in a building originally meant for nursing staff and one day the place went on fire. There was lots of shouting and screaming, windows were flung open, and suddenly the air was full of fur coats being thrown to safety. Nobody was seriously hurt and the fur coats lived to warm another day. Nancy, Lady Astor, long remained one of the prime fund raisers for the hospital, and amongst the additional equipment bought for the children was a hydrotherapy pool. A maternity wing was also added and each Christmas the children from the school would stage a nativity play in the Community (Stage) Room at the north of the site. It was usual for a baby from the maternity ward to be used as the infant Jesus. The pantomime Aladdin was also put on here by staff in about 1950, and the room also featured about a year later on cinema newsreels across the country when Princess Margaret, accompanied by Lady Astor, presented the year's Gold Medal to a very bright and newly qualified student nurse. Regarding CRCMH geography: The large central window on the upper floor, behind the front pillars, was Matrons office. The other upstairs rooms were for the Matron's secretary, the telephone exchange and a small store room. The windows below, on the left, belonged to the outpatient/casualty department. The front double doors opened into a large foyer with a desk for the receptionist. It was here the mail was sorted for the wards and where the staff came to collect theirs. The windows on the right belonged to the offices of the Senior Night Sister and her staff. The large enclosed place in front of French windows (the inner courtyard) was once a lawn where, on fine days, the nursing and medical staff would relax for a short break after meals. Behind the French doors was a large lounge with lots of chairs and sofas. This fronted the equally large dining room (it was all open-plan) where all of the staff, including Matron, Senior Surgeons, and Doctors ate together. Staff were allowed 45 minutes for dinner and 30 minutes for all other meals. While waiting for the food to be dished up, some of the Junior Nurses would feel under the chairs and tables to see how many pieces of fossilised chewing gum they could find. The chewing gum had obviously been conveniently 'parked' under the dining room furniture by North American military wartime staff. At the back of the dining room was the large kitchen containing a smaller diets kitchen where students nurses came to observe. At that time the kitchens were clean, clean, clean! Last but by no means least comes the 'Grand Corridor'. Not only was it said to be a 1/4 mile long, but on murky mornings, nobody could see the opposite end for mist. It is well known locally that for decades almost every baby in the town was born in its maternity unit. As a result, it has been estimated that some 60,000 babies were born at the CRCMH. Pointless Factoid #2: A Burnham woman, who gave birth to two children in the CRCMH maternity department in the late 1970s, insists that the hospital was absolutely infested with ants. Everyone associated with the hospital agreed that it was a very special place made extra-special by the nursing staff, many of whom were trained there. The Canadians never lost touch with the hospital either and each time the Canadian Mounted Police took part in the Windsor Horse Show they took time out to come and visit. Unfortunately, the hospital was forced into closure in 1985 (NHS funding shake-ups? ), and while all those present felt saddened by this they held wonderful memories in their hearts. It has remained both a derelict haven for exploration and the perennial location for potential re-development discussions ever since. The first convincing signs that its days were truly numbered came in 2001 when the National Trust sought expressions of interest into the site's future. It appears likely that the CRCMH site will become a housing estate sooner rather than later. 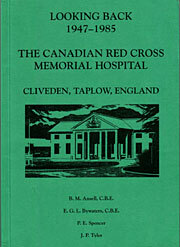 Between 17th April and 6th May 2000, an exhibition was held at the Maidenhead Heritage Centre entitled "Canadian Red Cross Hospital ­ Birthplace of many Maidonians". Let's hope they stage another one soon. Pointless Factoid #3: "CRX" was, and indeed still is, shorthand for CRCMH for those who were really "in the know." Virtually nobody who either worked in, or was a patient at the hospital refers to the place as anything other than the CRX. Our usage of CRCMH was chosen purely because it is the acronym of the undeniable full title of the hospital. Nevertheless, we'd like to acknowledge and pay homage here to the term CRX - which is what many of you out there use when you're talking about the old hospital that you know and love. For those who might be interested, Buckinghamshire County Council's Records and Local Studies Service claims to hold the original CRCMH Christening records (surely they mean births?) from 1947 until its closure in 1985. The Parish Magazine of St Peter's Church with St Mark's Hospital Church was a useful source containing a transcript of Jean's CRCMH-related talk, although this is no longer on their website, unfortunately. I'll see if I can dig out a copy of it at some point. Communications and Community Relations Department. We must credit The National Trust too because they actually do a lot of good work (ahem...aren't they the ones who want the CRCMH demolished in the first place?). If you want to know anything about Cliveden itself - then you'd be wise to get the official guidebook from the Trust (left) - it's fairly interesting in places (though don't expect glossy posters of the CRCMH or anything like that in there). The only book ever to solely focus on the CRCMH - written and published in 1997 by hospital stalwarts Ansell, Bywaters, Spencer and Tyler. Containing staff information alongside bits of history, it's an interesting read for anyone formerly associated with the CRCMH - or indeed for those more recent converts. Excerpts and images from this very scarce yet valuable resource will be appearing on The Shrine soon. But try and hunt down a copy at Amazon. These books should all be available from Maidenhead Library (to either purchase or borrow), and indeed other local bookshops or historical societies. The latter two are reputedly out of print, but good detective work might well help you turn up a copy. 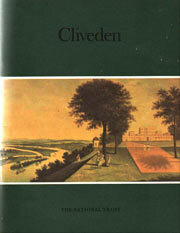 With Maidenhead - A Pictorial History, Luke Over, the long-time definitive Maidenhead historian, presents the definitive visual history of Maidenhead. Bear in mind that it is a more visual than written affair, but well worth picking up a copy. Eric Fitch's Unknown Taplow and environs is also rather wonderful - detailing many points of interest from this overlooked corner of the globe, and is perhaps the most interesting local non-fiction work ever produced. There's barely a mention of the CRCMH in it (well, there's one to be precise), but hey - that's why this website is here. Haunted Berkshire lists assorted tales from across the borough. Not exactly what you would call comprehensive (and to the dismay of the potential ghost-hunter, it tends to omit precise addresses and locations - and indeed The Flincher), but it's a good read nevertheless. So, what are you waiting for - check them all out!